Last month, I shared a tip about how to clear out the numeric/text error in Excel without having to correct it one cell at a time. I mentioned there was no blanket way to turn it off, but I was… WRONG! A colleague pointed out an option setting in Excel that allows you to ignore that error completely. 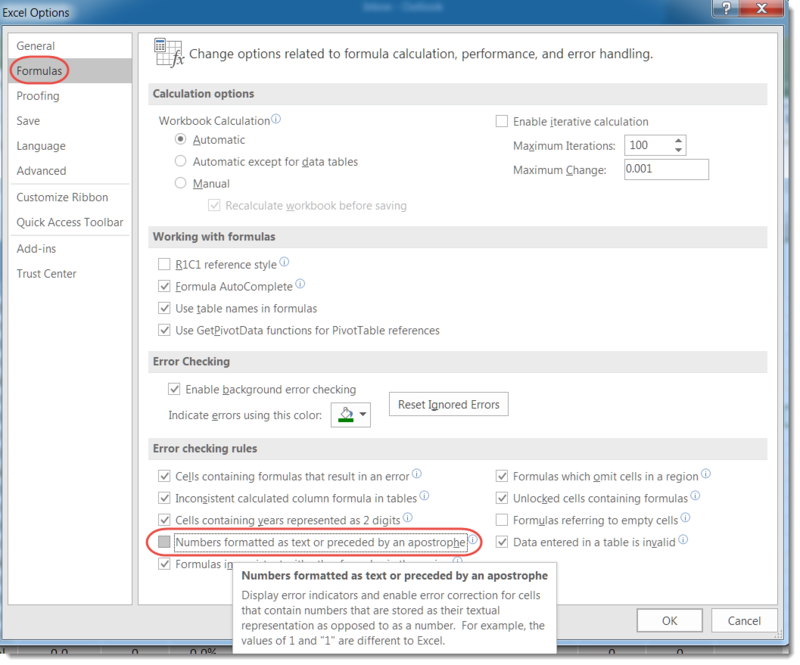 Down under Error Checking Rules, you’ll see a checkbox for turning off the error for Numbers formatted as text or preceded by an apostrophe. Next Where did my Ribbon Bar commands go?